A new version of Samsung Galaxy J3 was spotted on Geekbench and listed under Model number SM-J327VPP. The listing revealed some of the possible features of the upcoming budget smartphone. It is speculated Samsung to launch Galaxy J3 in the first quarter of 2017. Galaxy J3 is expected to be powered by Snapdragon 430 processor. 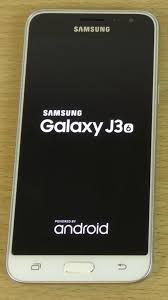 Coming to the display J3 is expected to sport 5-inch HD display. The device will be powered by 1.5 GB RAM. In addition to this Galaxy J3 will run on Android 7 Nougat. The Geek bench listing does not reveal much of the features of the Galaxy J3.Going by the features Galaxy J3 would be a decent performer with more focus on the power efficiency than other things. If you remember the same Snapdragon 430 processor is found to power the recently launched Android phone Nokia 6. With one month left for the Q1 in 2017 more features are expected to be revealed in the coming days.